Setup for performing quality control on the output of the Civet pipeline (cortical thickness analysis). 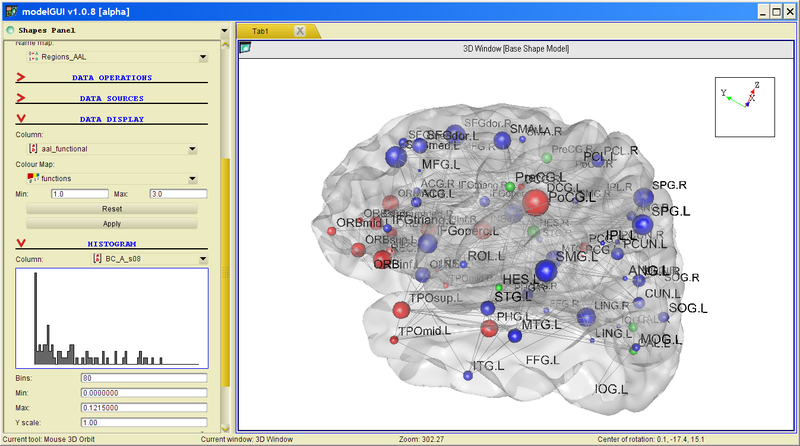 Shows an integration of 2D, 3D, and Data Source functionalities. 3D view of a graph derived from diffusion-weighted imaging data (manuscript in submission). 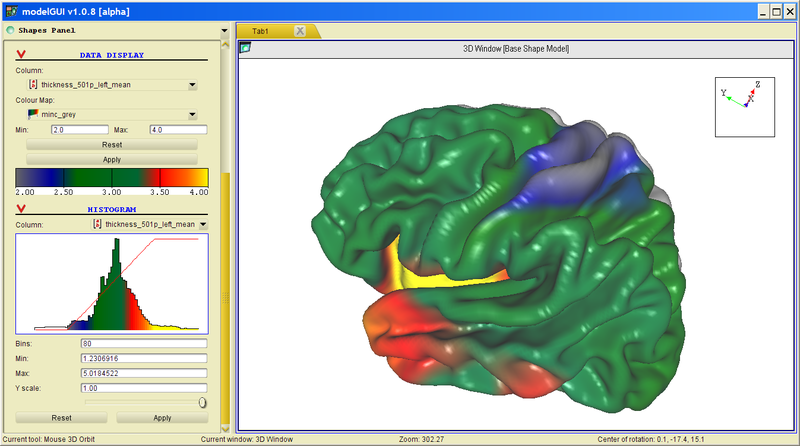 Shows 3D and 2D section views; the average ICBM surface is also shown in the 2D view. Edges are colour-mapped (with transparency) according to their weights (representing connection probability), and vertices are scaled according to their weighted betweenness centrality. 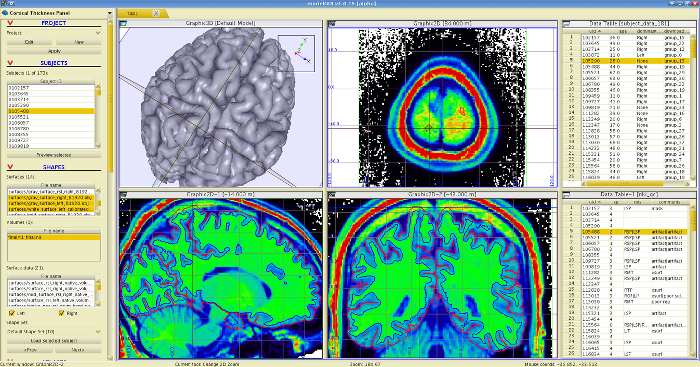 3D volume rendering of a composite image, showing a coregistered T1-weighted anatomical scan and an averaged FDG-PET scan. Volume is clipped by the horizontal plane of a SectionSet3D object. 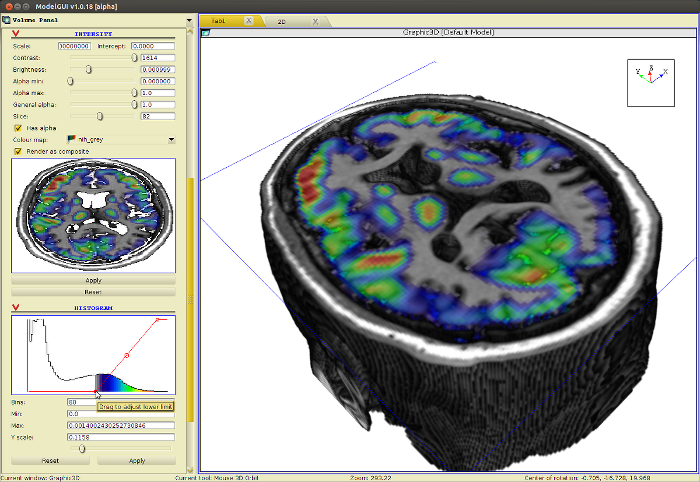 3D and 2D views of SPM12b segmentation output superimposed on the original T1-weighted image. 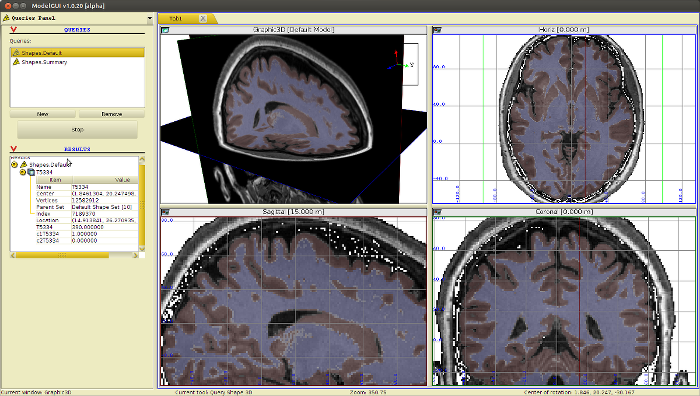 The red and blue indicate the probability of a voxel being grey or white matter, respectively. The Query Panel, which allows the values at individual voxels to be queried, is shown at left. 3D view of an average human cortex, with the colour showing mean cortical thickness for an eldery cohort (see Reid et al., 2010). 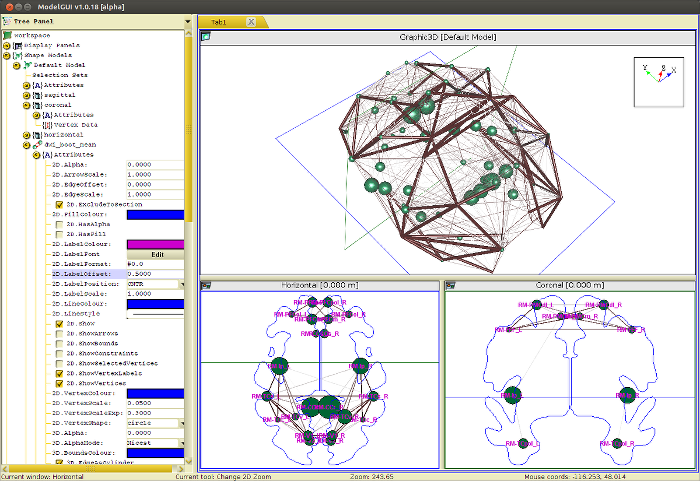 Same as previous, with graph nodes labelled by region name, and coloured according to their broad functional properties. 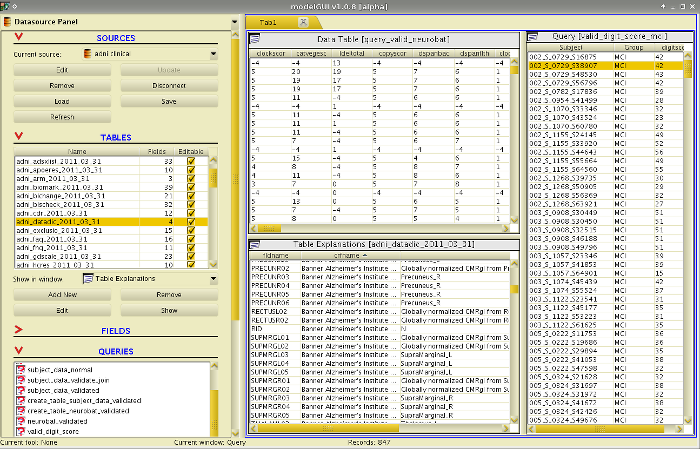 A screen shot showing how ModelGUI displays Data Source tables and queries.